NEW!!! 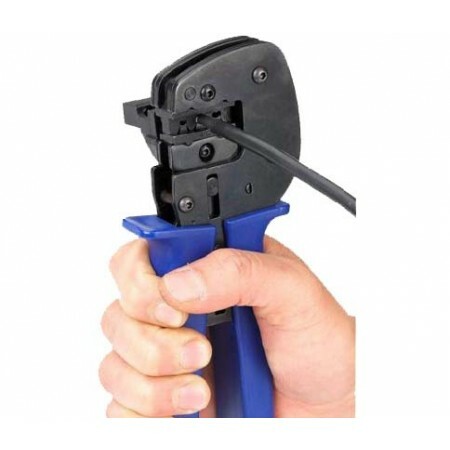 For crimping of MC4 solar connectors. SALE! Burnished finish, solid construction, and easy to handle. For Multi-Contact "MC 4" Solarline 2. High-precision ratchet mechanism for complete crimps -1.2 metric tons pressure at crimping face with minimal hand effort. 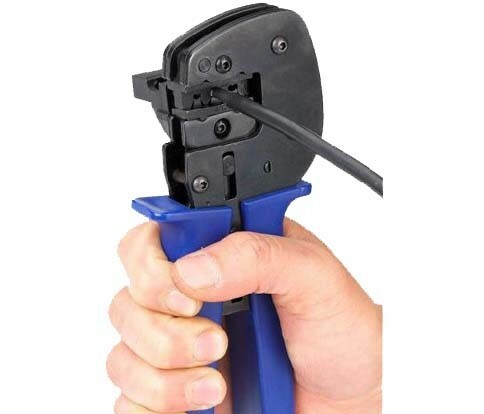 We recommend also ordering MC4 (SOLARLINE 2) OPEN-END SPANNER SET at left for tightening the end nut to the MC4 connector to the proper tension.